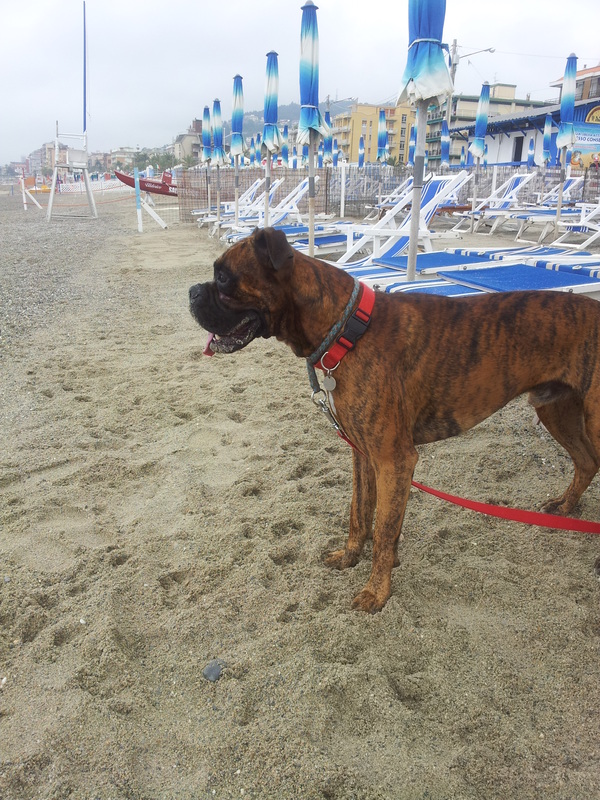 If you live or are holidaying in Italy this year with your dog you’ll be pleased to know that dog-friendly beaches are becoming ever more common. 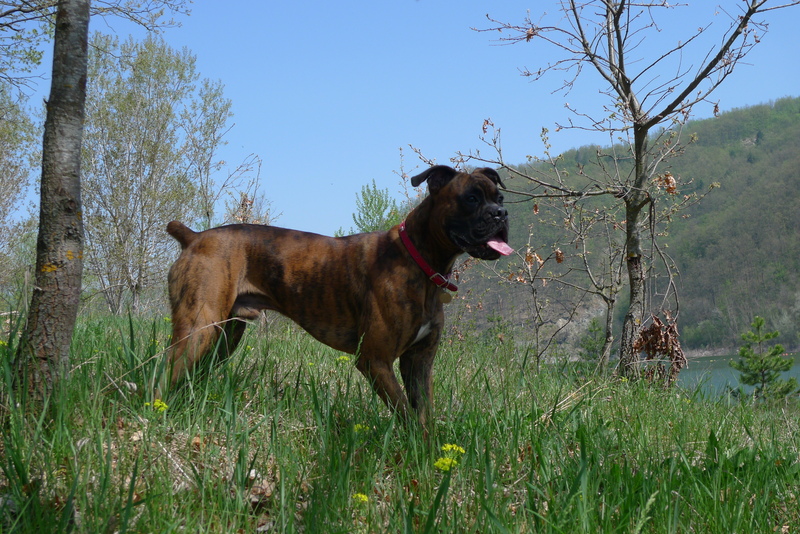 As Ezzie is a boxer, and therefore a dog with a short soft palate and suffers the heat a lot we also wanted to select a beach that not only allowed dogs access, but that also let them pop into the sea for a refreshing swim. Thanks to Onoreveole Brambilla (one of Silvio’s bunch, but worthy of my respect nonetheless for her pro animal campaigns) there is a pretty good website in Italy called Turisti a 4 Zampe where you can select the tourism outlet that you need (hotel, restaurant, private or public beach) and area you are visiting to get a list of dog-friendly places. When I manage to figure out how I’ll be putting their banner on this site too. 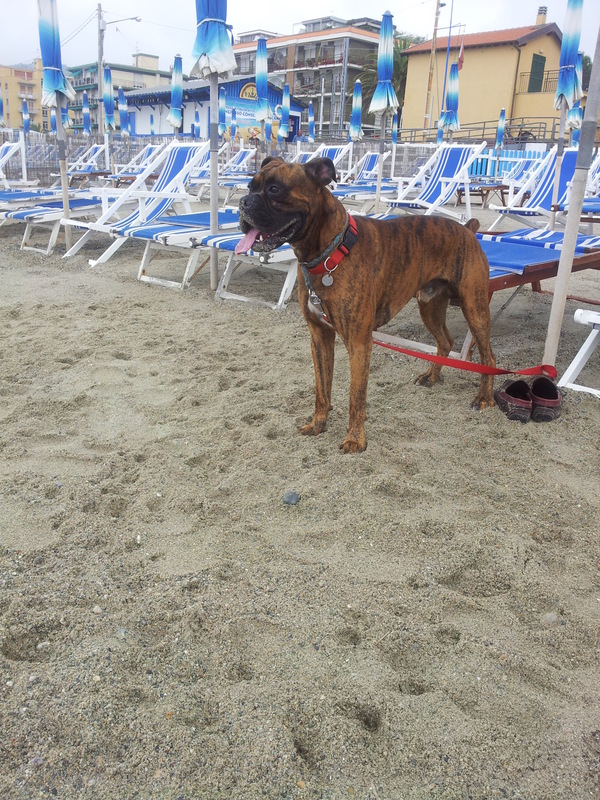 Anyways there are 2 public beaches in Pietra Ligure where your puppies can swim with you, these are Ex Leonessa and Ponente. We visited Ponente. The daily price to use a deck chair, sun bed and shade was 13 Euro. This covered 2 people and one dog. Additional dogs or people cost another 3-5 euro. On all beaches in Liguria you can haggle for a discount if you arrive in the afternoon. It’s not always a success but when it is it’s well worth it. We set off from a sweltering (and rather shaken) pianura padana where temperatures were 27°C but arrived to a chilly, wintry Pietra Ligure- just the weather Ezzie loves. 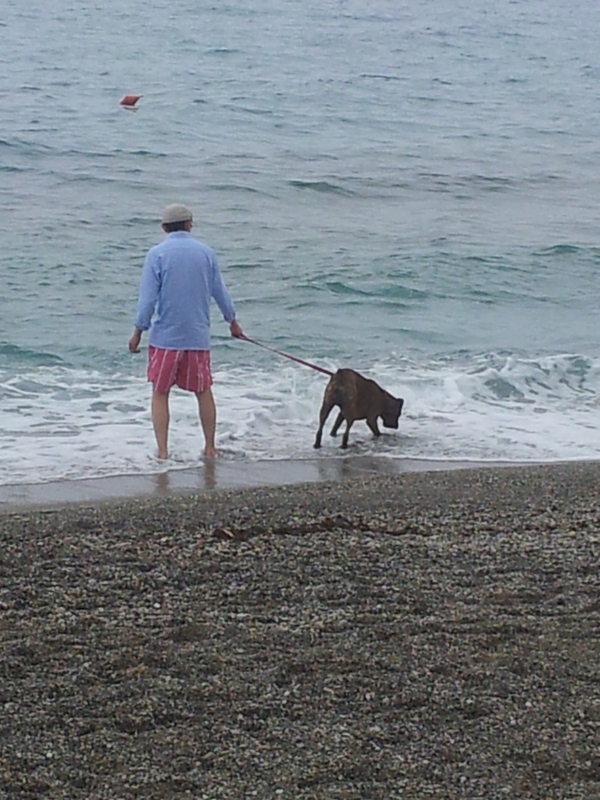 You have to keep the furry babies tied op on the beach but in the sea you can let them off. As it was freezing we had the beach to our selves. 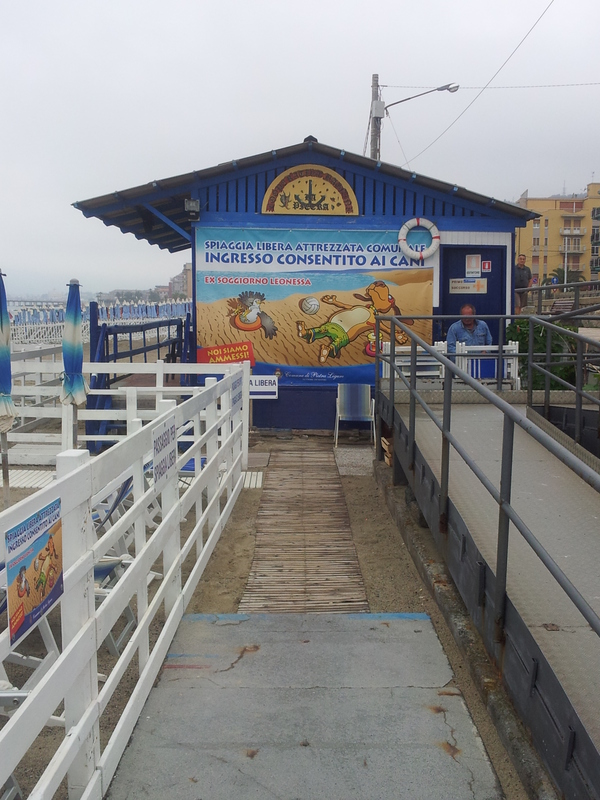 Here is the link to the full regulation by the local council of Pietra Ligure. We’ll definitely be going again as it was a lot cheaper than private establishments that quoted me around 40 Euro per day and great fun for Ezzie. Happy swimming!